Growing environmental concerns exp. among women. Headlines about global warming, pollution and vanishing natural resources have people — and not just those wearing Birkenstocks — making changes. 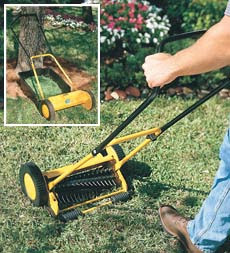 The mower also is appealing because it is inexpensive — around $200 — and so simple. Two out of three people buying manual mowers were female. A number of women interviewed said that they valued the simplicity of the machines. More and more people are finding they don’t need a power mower because they have less lawn to mow. Most users loved the useful exercise. Use of mobile phones has been increasing at an annual rate of 65%, more than twice the global average. This remarkable expansion is, in part, a reflection of the wretched state of many fixed line networks throughout the continent.